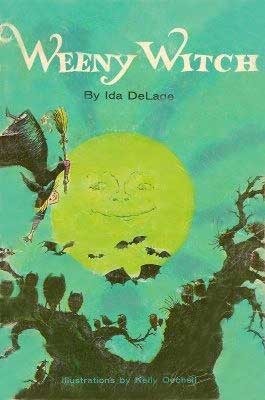 This was my favorite Halloween Book!!! I read it hundreds of times. I am sad I can't find a copy (affordable). The story and art work were exceptional!!! I still remember obsessively taking this book out of the library as a 3 year old when I was first learning to read. It was eras old by that time and it took me till this year to finally track down that it was THIS story that had always imprinted a concept of a kidnapped princess in a ring of witches. I partially think this story is why I've always loved magical stories. For that lasting effect, it deserves 5 stars. Remember reading as a child. Found and bought an old, beat up copy off of eBay. Memories!!!! Loved this book. I grew up with this book, and to date, it is still one of my absolute favorites. Love it!!!! This was one of my favorite books as a little girl!!!! So cute! A definite must-read! This is the first book I became obsessed with! And all the years later it is one of my most favorite memories.....I love this book. Cute story and fun illustrations. I had a copy of this book when I was little, and I loved it.